I love the idea of being able to design and create clothing – to imagine a garment and, voila, to produce it. Unfortunately, my imagination exceeds my capabilities in that (and other) departments: on the very rare occasion that I have had clothes made for me, their reality was never quite as spectacular as the fantasy that proceeded them. 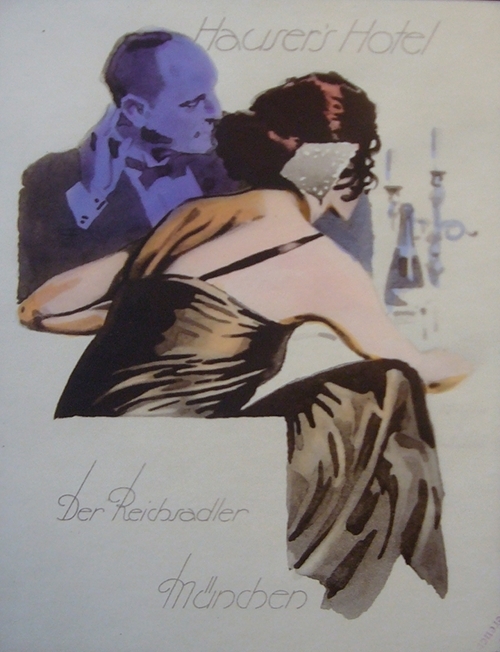 I have always admired costume designers and their fantastic sartorial skills – with a few select pieces of clothing they seem able to conjure up an era so remarkably that you truly feel as if you were transported back in time. 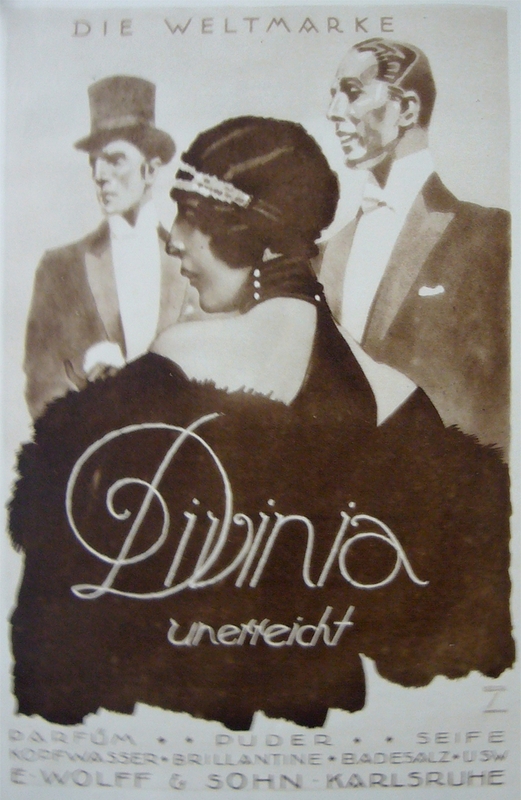 Rene Vincent’s stupendous Metro advertisement for Au Bon Marche. 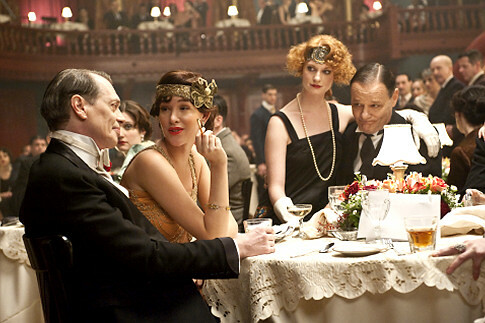 And the costumers for HBO’s enormously successful Boardwalk Empire seem to have every detail down right – the flappers look perfect, the gangsters look nasty … even the tablecloth looks right. 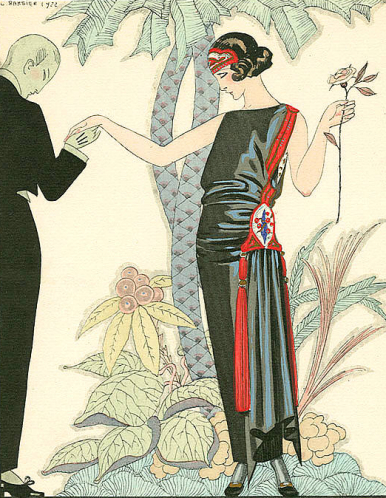 My one experience with flapper dresses was – like my other, ill-fated custom-made experiences – less than successful: a friend gave me a dress which had belonged to her grandmother. It was a sheer, black shift, beaded all over with shimmering black bugle beads. There were areas of the dress that needed to be re-beaded, and I invested in having that work done by a person who theoretically knew how to do just that. 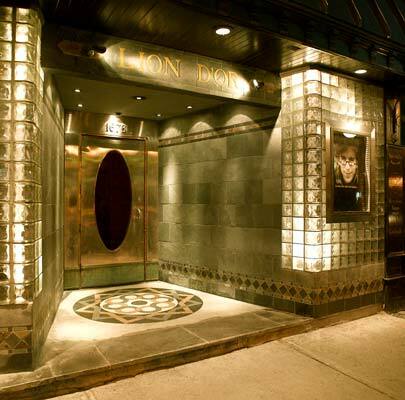 *The Art Deco Society of Montreal has a wonderful website and meetings all year long. 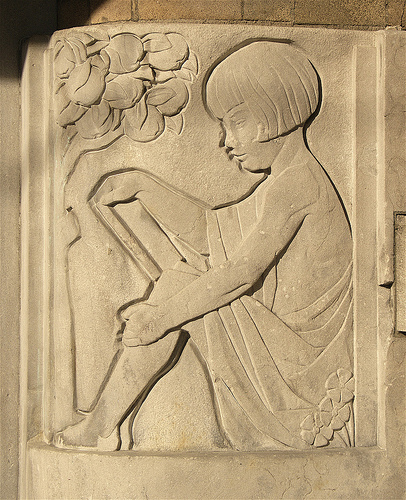 The Society is a labor of love run by Sandra Cohen-Rose and is very active in all things Art Deco.